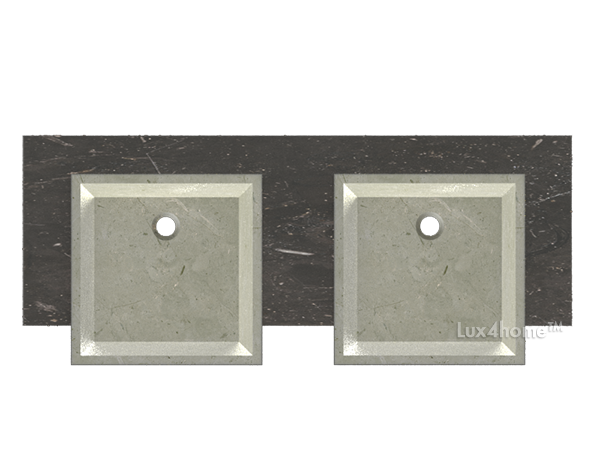 100% NATURAL STONE handmade sink. This unique carved, high end sink features a modern finish that will provide the perfect finishing touch for your bathroom! Marble is a natural stone that possesses unmatched colors, veins and other characteristics. Each sink has natural variations in the stone and is considered a natural work of art. Turei is not only a sink, but actually it is an entire set, that consists of two basins and a top. They are all made of white and black marbles. Sinks are square and fit countertop perfectly. Both the top as well as sinks are hammered at the front. That is why they look even more natural and beautiful. 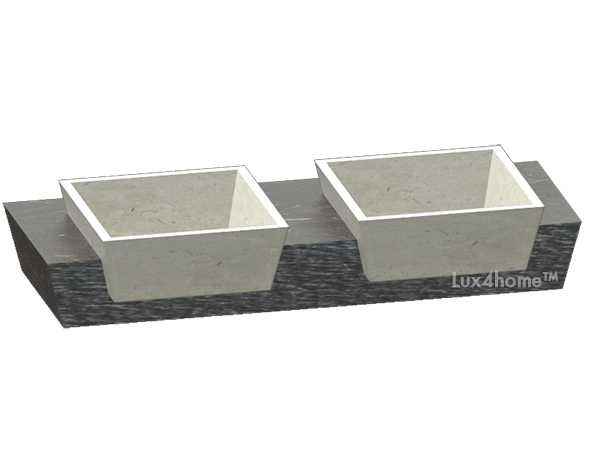 As with any natural stone product no two basins will be exactly the same. There will be variations in both markings and color. There may be fissures or veining which are natural features of the stone. This sink is representational of what is available. 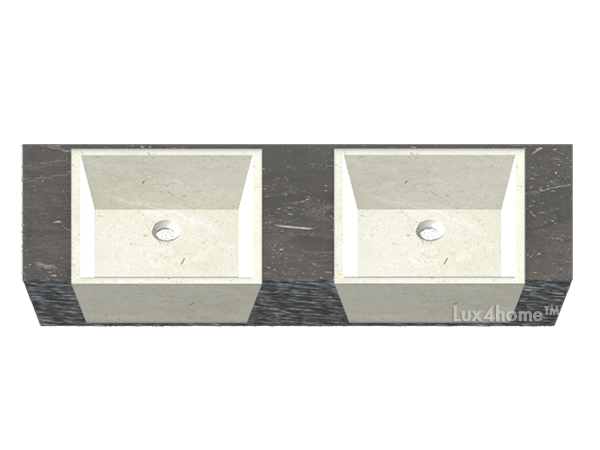 Please give us a call to request photos of actual sinks that we have in stock or available row stone material.